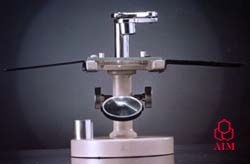 Round base model for greater stability & better look, Equipped with joint revolving arm for moving the magnifying lens over the stage. Focusable by rack & pinion. Supplied with 10x & 20x Eye pieces, in a wooden box. Aluminum die cast base. 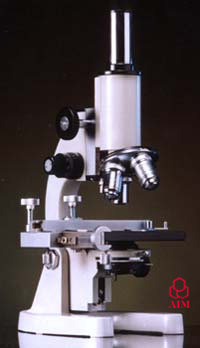 Monocular body inclinable up to 90³. Mechanical tube length 160 mm, triple revolving nosepiece, fixed square stage 120 mm with stage clips, fixed condenser (N.A. 1.2) with iris-diaphragm & filter holder, Focusing by vertical movement of body tube, coarse adjustment by rack-pinion movement. Fine adjustment by screw-level mechanism. Illumination by Plano Concave mirror dia 50 mm. Adjustable down stopper to prevent breakage of the specimen slides. 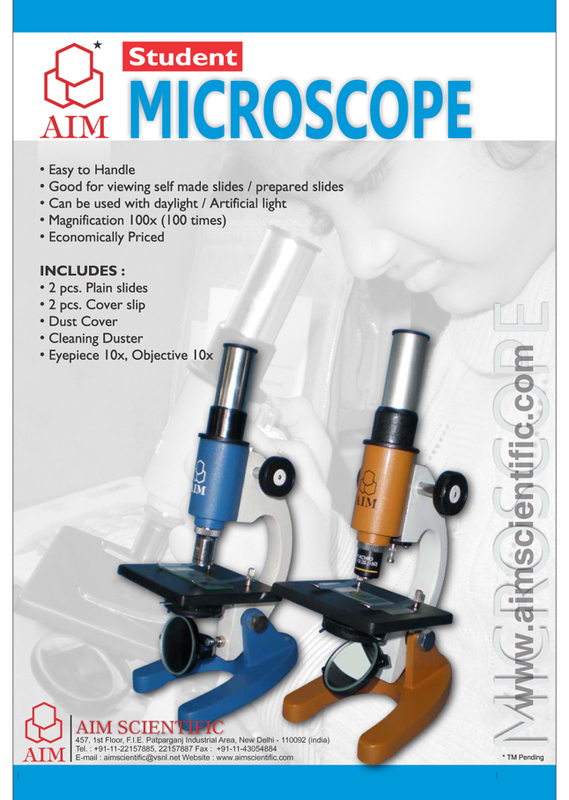 Supplied with Dust cover, Duster, filter & operating manual in styrofom or wooden container. Monocular body tube inclinable up to 90 degree with aluminum die cast base. Mechanical Tube length 160mm. Quadruple revolving nosepiece with click stops. Fixed square stage 120x 120 mm with detachable mechanical stage. Abbe condenser focusable with rack-pinion. Focusing by vertical movement of body tube & coarse adjustment by rack-pinion movement. 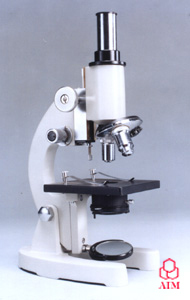 Fine sensitive adjustment by screw lever mechanism having knob graduated each division showing 0.002 mm. Illumination by Plano Concave mirror dia 50 mm. Optics : Ach. Objectives : 10x, 45x & 100x Oil immersion. Supplied with cover, duster, blue filter and operating manual in wooden / styrofom container. NOTE:- The information and specification provided are subject to change without notice.